SEATTLE - On Sept. 20, 1958, Martin Luther King Jr. was sitting inside a Harlem department store signing copies of his book “Stride Toward Freedom” when a 42-year-old woman decided to walk up and stab him in the chest with a 17-cm letter opener. Her name was Izola Curry, and the act caused the United States to collectively hold its breath. The letter opener was mere centimeters away from rupturing an artery. Doctors would later state that if King had sneezed in those moments after the stabbing, he would have died. The U.S. was not the only country worried about the civil rights leader. It turns out that Japan — and in particular one man, named Makoto Sakurabayashi — was deeply concerned as well. Sakurabayashi had been a divinity student with King at Crozer Theological Seminary in Chester, Pennsylvania, from 1948 to 1951. While there, the two became friends. Sakurabayashi was the only Japanese student at the school at the time, so one could easily imagine shared understandings over issues such as racism and discrimination. Although there were other black students at Crozer, they were still heavily the minority. By leaving the American South for the first time, King was, in a way, traveling to another country — one which treated him more like a regular human being. When the news of King being stabbed hit the Asahi News, Sakurabayashi was stunned. On Sept. 22, he sat down to write, in English, to his old classmate. At the time he lived in Yokohama. Not having King’s Alabama address at the time, Sakurabayashi decided to write to Crozer, which then re-routed the letter to Montgomery, Alabama. Here is Sakurabayashi’s letter in its entirety. The original is located in the Martin Luther King Jr. Collection, which is a part of the Howard Gotlieb Archival Research Center at Boston University, where King earned his Ph.D. It is reprinted verbatim here with the university’s permission. I am very anxious of your health. It’s too bad that I can not call on you in bed. All of Japanese people loving God and democracy are on your side. 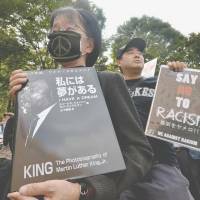 Those who have learned from your people for the first time after the Surrender of Japan are in great difficulty to understand the present situation of extreme racial prejudice in your country. We deeply appreciate your entirely Christian attitude toward this difficult problem, and believe that this is the best and only possible way to solve the problem. Sakurabayashi’s letter clearly shows how Japan, even in 1958, was still in a state of transition. “Those who have learned” suggests that Sakurabayashi, who would later become an economics professor at Teikyo University in Tokyo and retire in 1996, could still sense a division in his country between prewar and postwar philosophy. What he and others could not understand is how such a high level of racism could occur in such a developed country. King replied to Sakurabayashi shortly after, thanking him for his support. 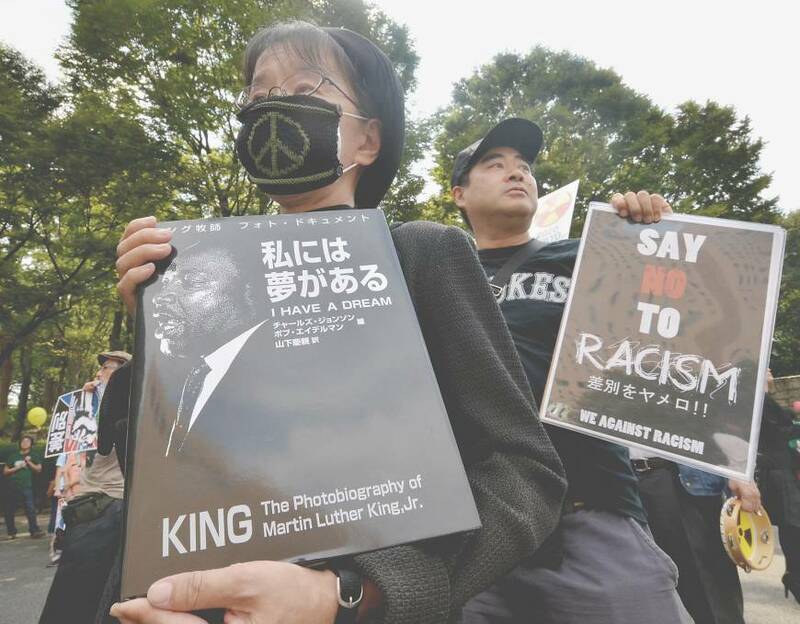 It should be somewhat comforting to know that, throughout King’s pursuit of justice and equal rights for African-Americans, he knew he had the support and consideration of Japan through an old classmate who had decided to study abroad and broaden his cultural understanding. The example Sakurabayashi stood for in King’s life cannot be overstated.